Devlin - 15 years into a career that’s spanned gold-selling albums and Top 10 hits without straying from his underground roots, has never been interested in trends, a fact underlined on his take-no-prisoners grime riot of a new record. The album is made up of 13 breathless tracks long, it’s a lean, mean musical Molotov cocktail that, after the emotional purge of 2017’s acclaimed The Devil In, sees Devlin returning to the punishing high-velocity flows and menacing beats of his early days. “No glitz, no glamour, just venomous lyrics and dirty beats made in a dark, smoky room, just getting in the booth and doing what needs to be done,” the Dagenham master grins. Follow the herd? 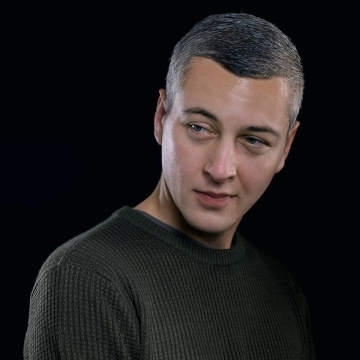 Devlin has spent his decade and a half in the game leading it.